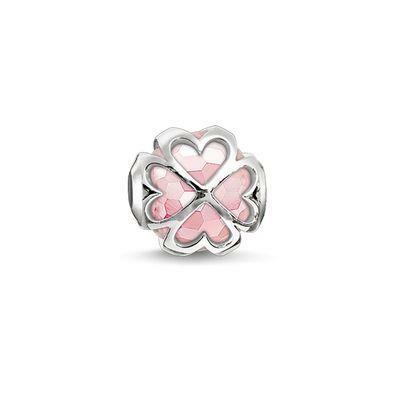 Bring a little luck to your jewellery with the fabulous Cloverleaf Karma Bead by Thomas Sabo. This stunning design is crafted with Sterling Silver with a faceted Pink Quartz stone that shimmers under the filigree design. The heart-shaped cloverleaf is believed to lend its wearer happiness and love.